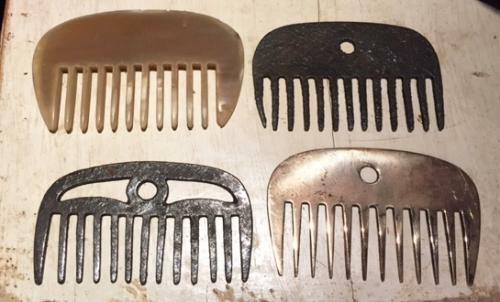 Antique Horse Combs. These were used for combing the mane and tail of cart horses. They are surprisingly scarce. Here we have a collection, two in iron, one on Horn and one in brass.